At FMR we are committed to reducing our eco impact and maximising recycling. In addition FMR looks for all opportunities to increase the recovery and reuse of plant, machinery and equipment which is not yet life expired. Through our operations, FMR sources, stocks and supplies an extensive range of commercial and agricultural vehicle spare parts. FMR undertakes the full de-pollution of all the used engines and related spare parts that we export to our customer base in Eastern Europe, the Middle East and Africa. FMR also provides a full haulage and containerisation service while remaining price competitive. 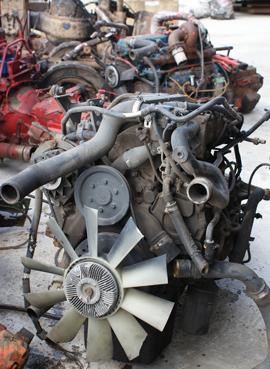 If you have a commercial vehicle for sale or are a buyer of used commercial engines, related spares and agricultural equipment feel free to contact us. Our team will be pleased to discuss the current prices, the products which are suitable, our current stocks and the arrangements we have in place to fulfil your order.